Davor Ljubicic (b. 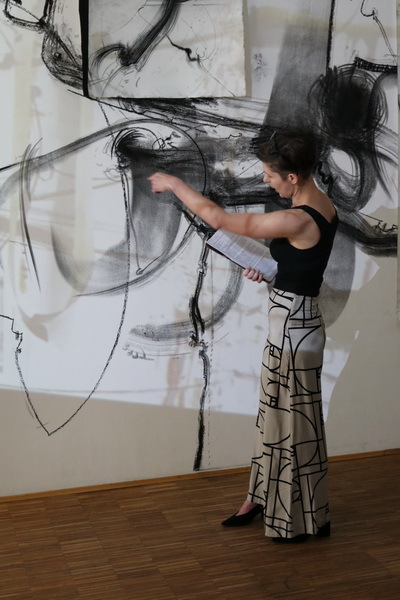 1958 Croatia) is a process based artist who works with charcoal, performance, video and sculpture. Physicality is evident in the work as his is a continual search for form. 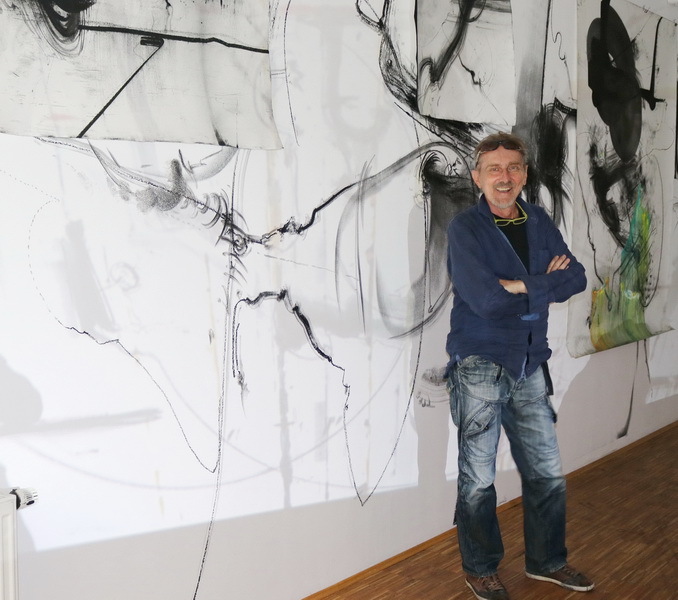 He is a dynamic artist, curator and educator living in the Bodenseekreis region of Germany since 1992. Andrea Gamp introduces Ljubicic’s work at the opening reception of Constellations – Drawing explorations.